Freedom is a beautiful 15.3-hand ex-racehorse from out west. His racing career ended early and he was sold at auction, along with another racehorse, to an abusive individual in Catawba County. Freedom's plight was brought to the attention of authorities when he was discovered locked in a barn barely able to stand and near death. His new owner had been renting a barn and pasture from an elderly gentleman until ending his lease and turning in his keys. Almost 2 years later, the elderly gentleman's son was showing the property to a realtor. When he unlocked the old barn and discovered two horses locked inside, starving and barely able to stand, he was shocked beyond belief. 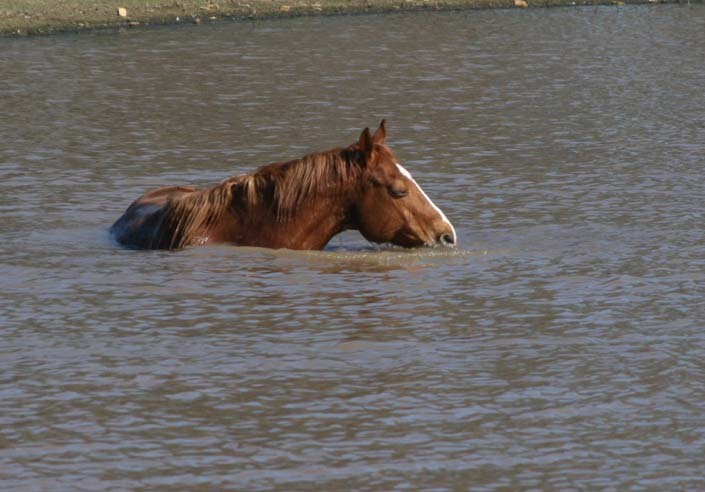 How the horses had been able to survive for such a long time is still a mystery to all. When they arrived at the HPS sanctuary, they could barely stand. Their heels had grown forward 6-7 inches and their hooves curled under. Rot was everywhere - the stench was horrific. Freedom and his friend laid on the ground and let farriers trim their feet. The farriers worked slowly on the horses for half a day - in the rain - and then returned to continue to perform corrective trimming. Today Freedom is healthy and waiting for a new home. 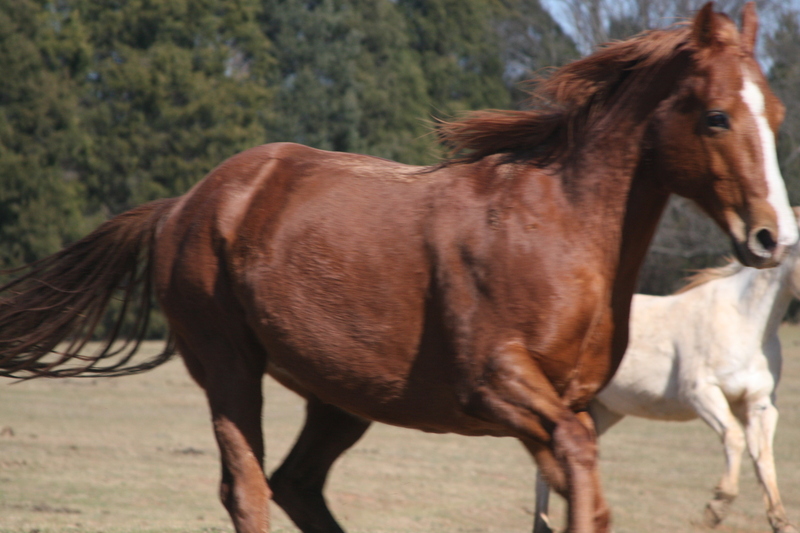 He is a beautiful, 16-year-old American Quarter Horse gelding and stands 15.3 hands tall. He is healthy but had experienced a knee injury and a pelvis injury at some point in his life. Digital radiographs have been taken of his knee, and a vet who also is an equine chiropractor have determined him to be sound. 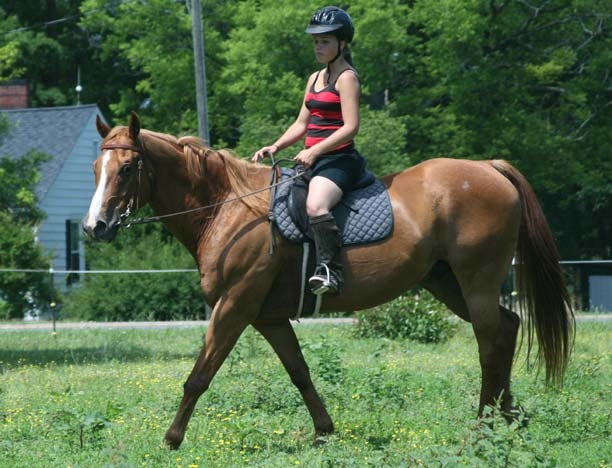 Frequent light riding (walk, trot, light cantering but no steep hills, jumps or tight turns) is recommended by his veterinarian for his old pelvis injury to keep him in condition and sound. Weight limit for his rider is 140 lbs if using light English tack. Freedom needs an experienced horseperson and experienced rider. He's a lot of horse and needs someone that will not be intimidated by his big size and big personality!